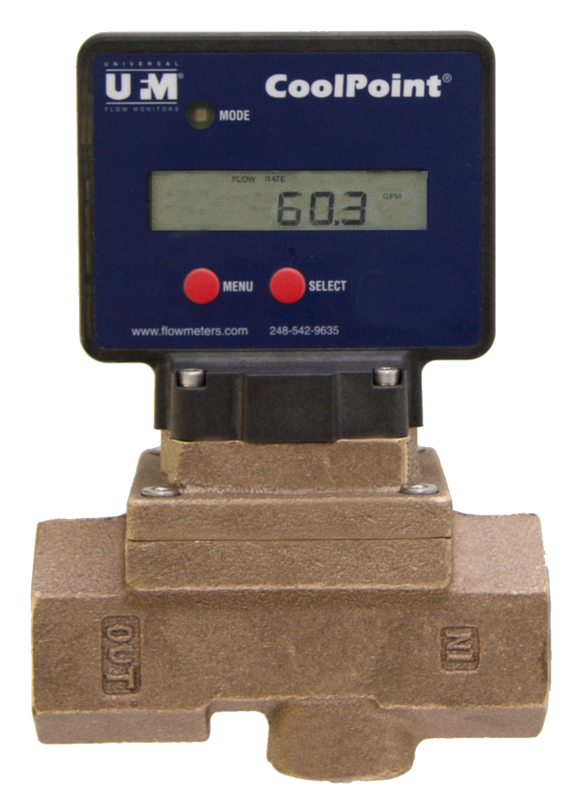 CP2-V8 = 1/4" CP3-V8 = 3/8" CP4-V8 = 1/2" CP6-V8 = 3/4" CP8-V8 = 1" CP12-V8 = 1 1/2" CP16-V8 = 2"
These vortex shedding flowmeters are designed for water and low viscosity fluids like coolant. There are no moving parts to clog or wear. Selectable units: Gallons, Liters or Cubic Meters.